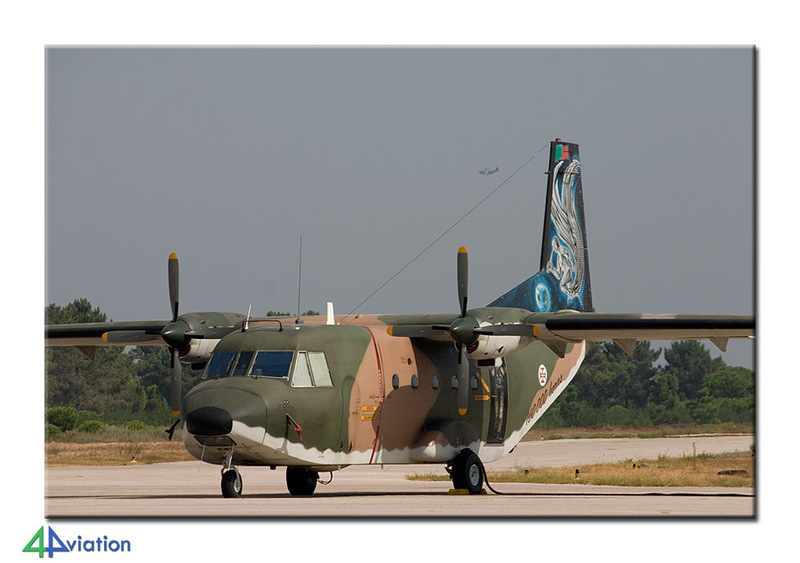 In 2010 we were welcome to visit the Força Aérea Portuguesa (Portuguese Air Force) and its air bases with a group of photographers. What awaited us was a warm welcome and beautiful September weather. 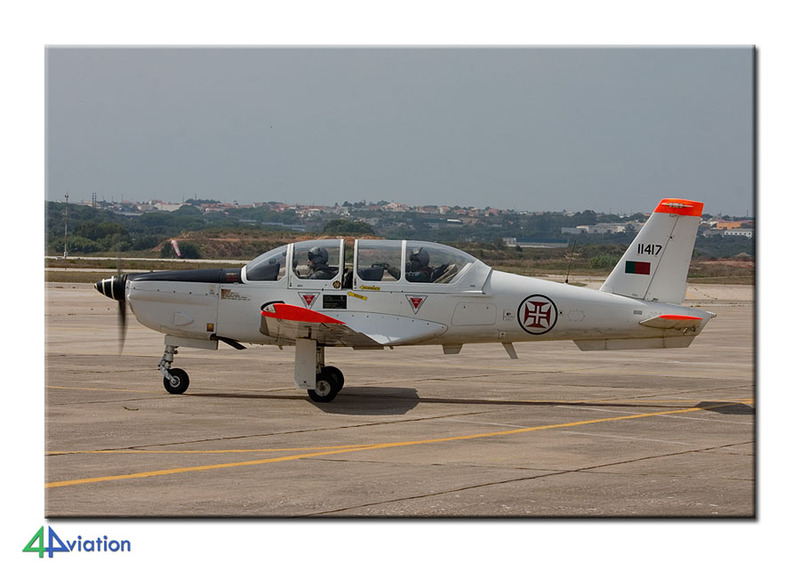 A visit to the Portuguese Air Force / Força Aerea Portuguesa had been on our wish-list from the very beginning. We were therefore quite happy to have found the right contact within the air force. As soon as this contact was established, a detailed plan was prepared to visit several air force bases on mainland Portugal. Ten Dutch guys met at Amsterdam-Schiphol airport and were joined by two 4Aviation tour guides in the very early morning of Sunday 29 August 2010. After an uneventful flight the group arrived at Lisbon airport and teamed up with one more ‘cloggy’ and three chaps from the UK. 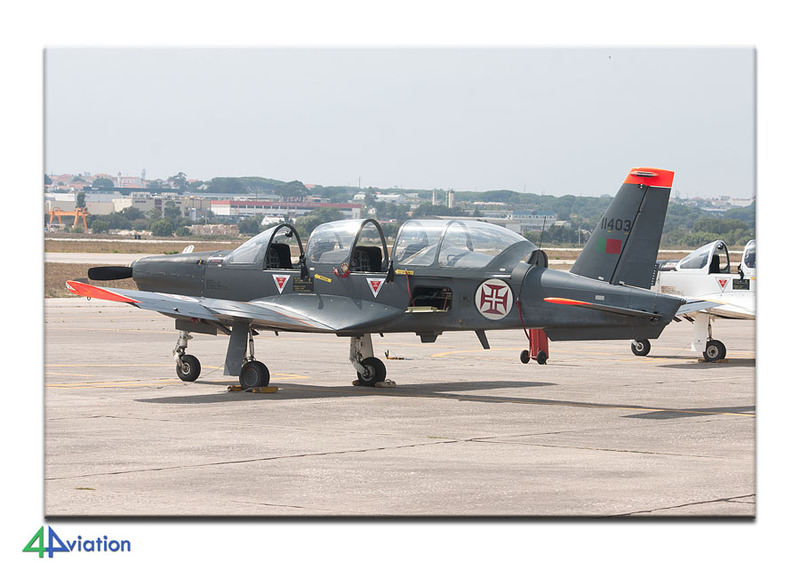 Two roomy rental vans were picked up at the local rental company, the navigation device was switched on and within minutes we logged our first catch of the day; the preserved T-38 at the gate of the military part of Lisbon-Portela de Sacavem International Airport. 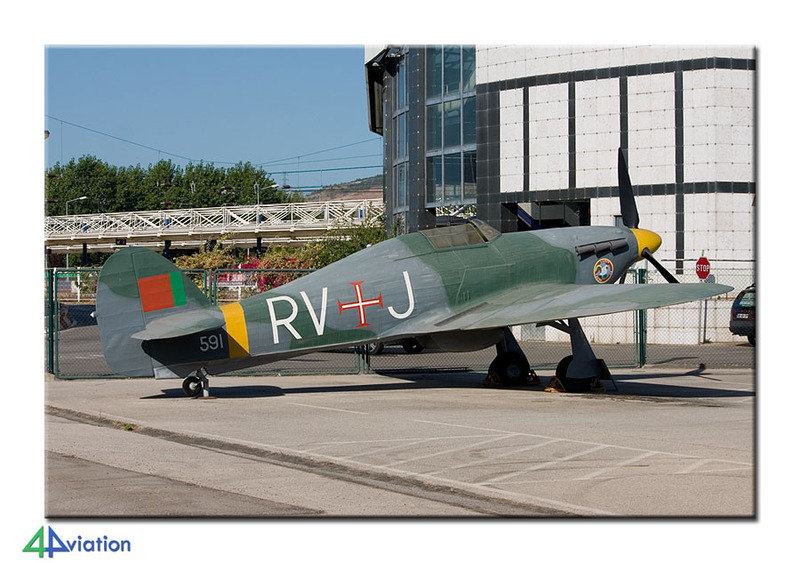 Our main goal for the first day was to visit the brand new Museu do Ar at Sintra and then head North for our first visit on Monday at Monte Real air base. 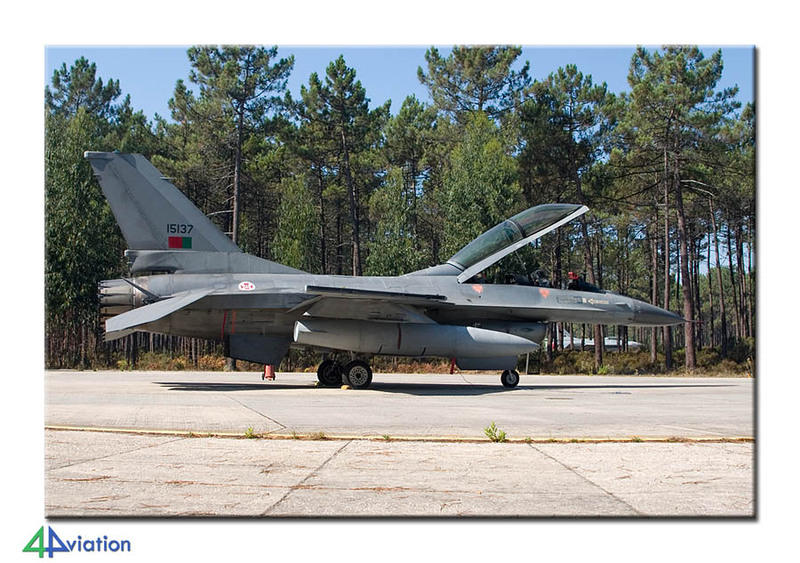 The museum used to be located at Alverca, but the majority of the collection has moved to Base Aérea No.1 Sintra. The brand new main building and hangars are filled with aircraft in excellent condition. Outside is another part of the collection and there are plans to make another huge hangar for these, and more, aircraft. 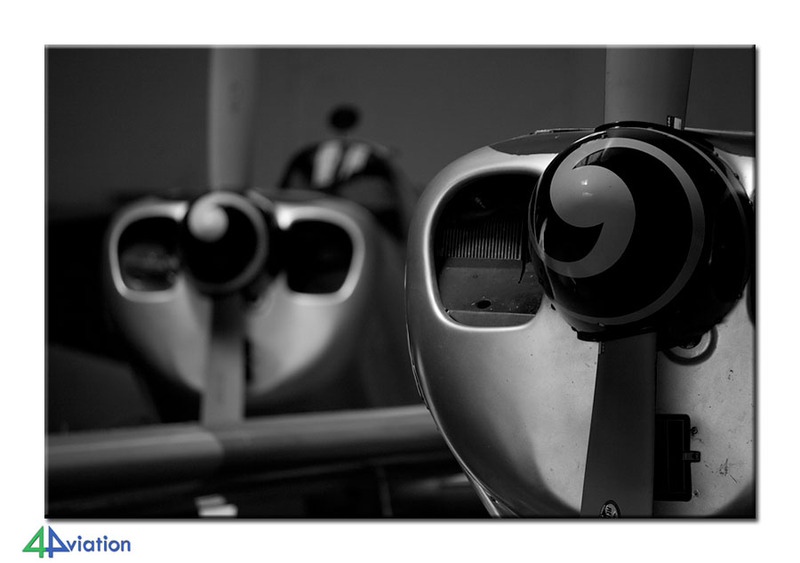 Clear photographs could be made of the majority of the aircraft and entry is only Euro 3. For the first night we had booked a hotel in Fatima. We all had an early start and we Northerners are not used to the heat of Southern Europe, it was way over 35°C outside. So the men were separated from the boys when one van departed for a three hour drive to do some wrecks & relics, while the others were resting in the hotel or sightseeing in this pilgrimage city with an impressive cathedral and square. In the early evening we all had a great meal in one of the few restaurants open on this Sunday evening. 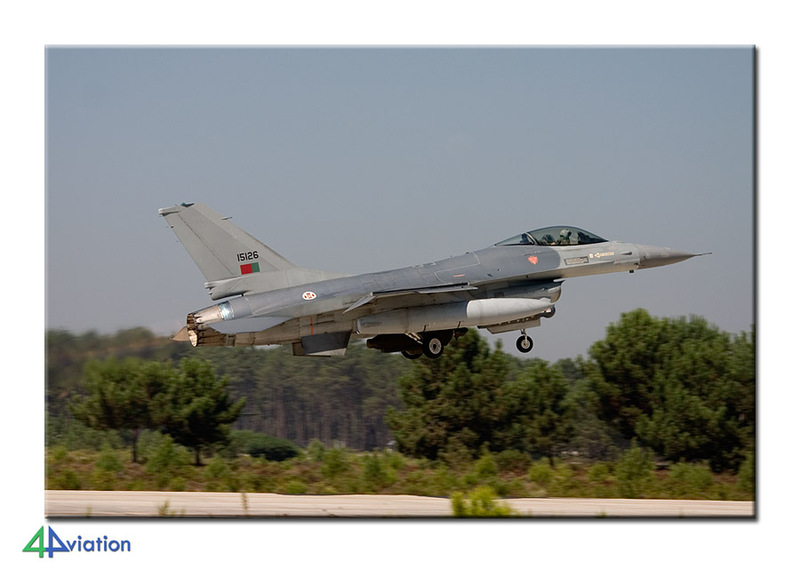 On Monday 30 August 2010 we were on time at the main gate of Monte Real and were greeted by an F-16 on a stick in an impressive posture and configuration. Our tour guide knew exactly what we wanted. We started off with a walk through the maintenance hangars. We then walked through the dispersal area to take some shots. Then it was time to go to the runway as four Vipers were about to take off. The sun was in our face, which is not ideal for pictures, but this soon changes after we asked to go to the other side. 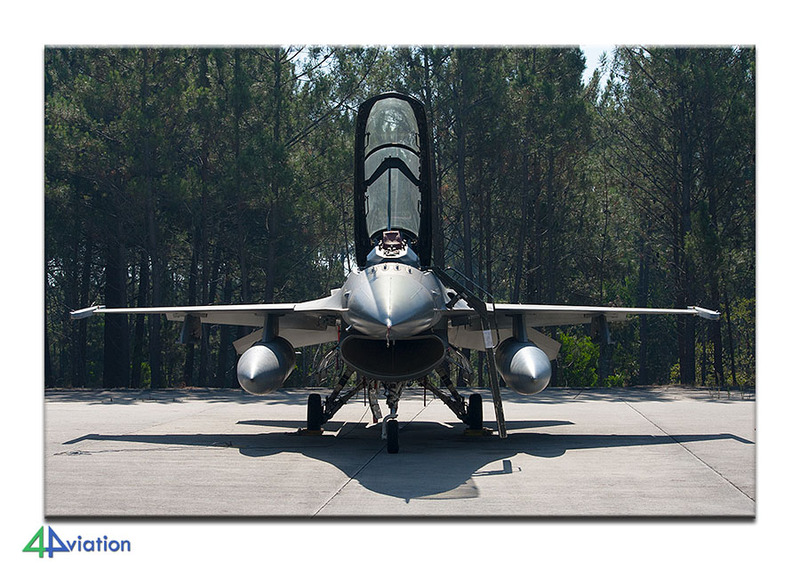 Permission was granted by ATC and seventeen people crossed the active runway by foot, seconds before the F-16s took off. Finally we headed for the main gate where took pictures of the gate guards and the small base museum. Next up was Air Base No.2, Ota. 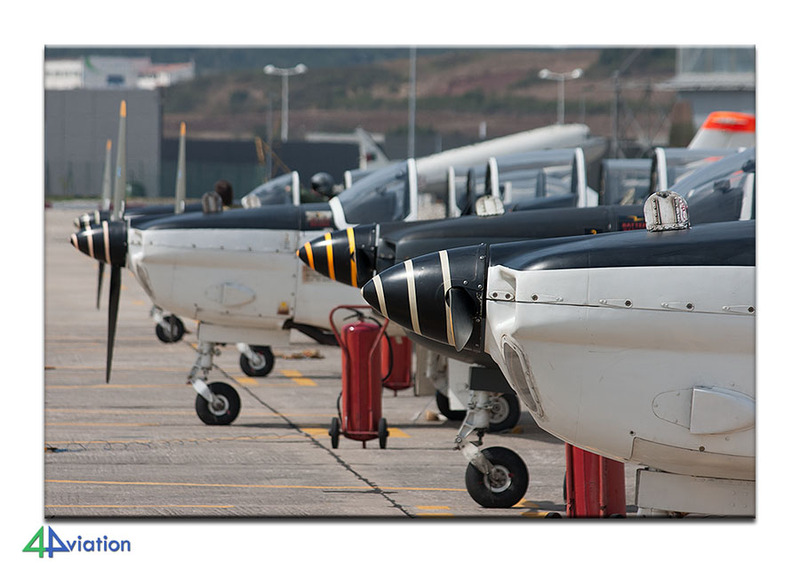 This time no active aircraft, but storage of the Museu do Ar as well as the CFMTFA (Centro de Formação Militar e Téchnica da Força Aérea/Technical school) and the fire school. We were greeted by a person who normally worked at Alverca, but had now come here especially for us. We started with the museum hangar, which was packed with aircraft. Also in here were the gliders of Esq802. We learned these had moved to here from Sintra. 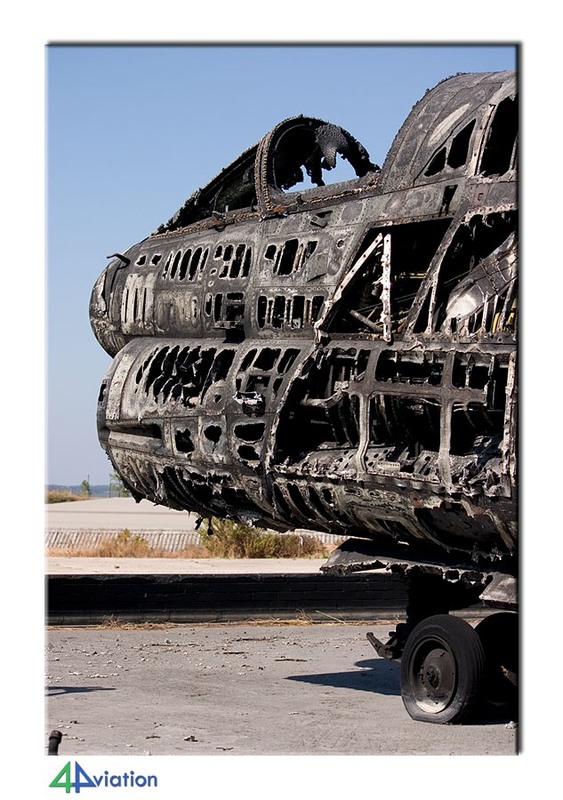 The A-7 of the fire school was completely burnt, you could see right through it. Melted aluminium drops were visible all over the aircraft and other bits were lying around it on the floor. This was really some piece of art. Everybody tried to capture this scene on their memory cards. For the next three nights our main operating base was a hotel in Montijo. From here it was only a ten minute drive to the air base and a short walk to the seaside with its many bars and restaurants. On Tuesday, 31 August 2010, we were met at Montijo by our hosts, who were just as friendly and cooperative as we had experienced on the previous day. 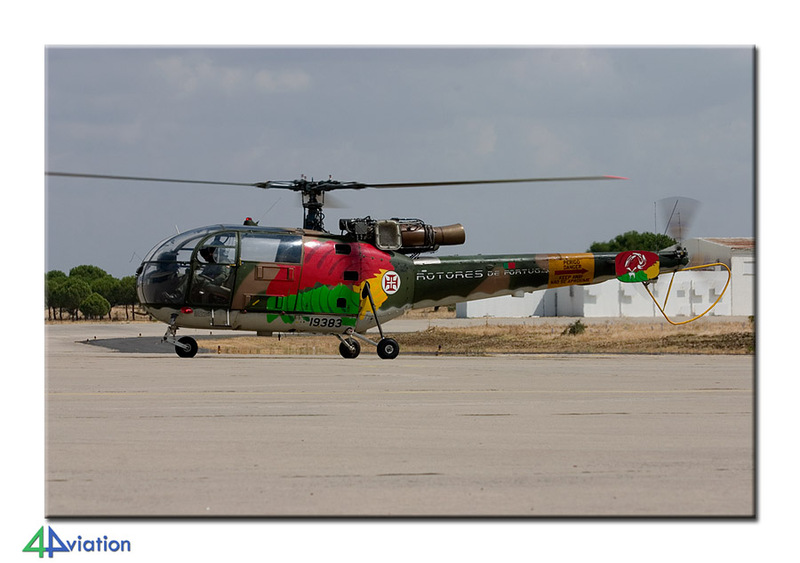 The tour started with the helicopters of Esq751. 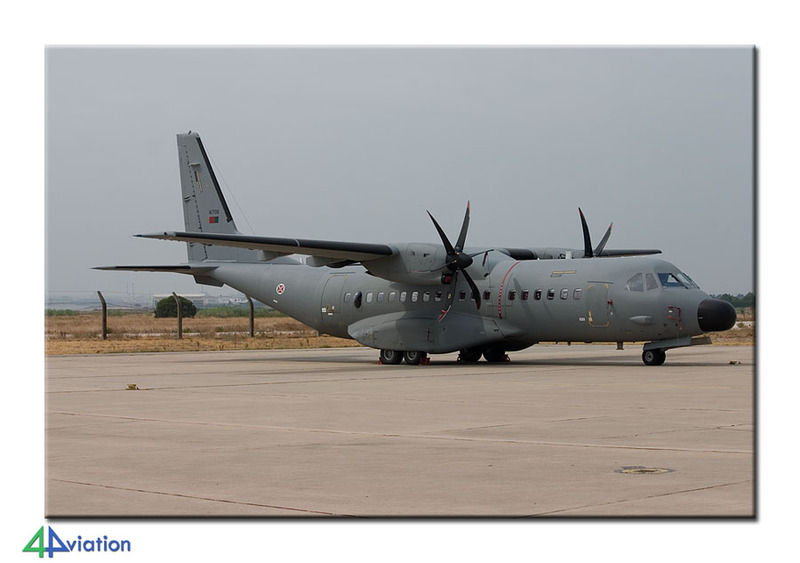 Then it was time to take the bus to the CASA 212, C-130 and C295 units respectively. 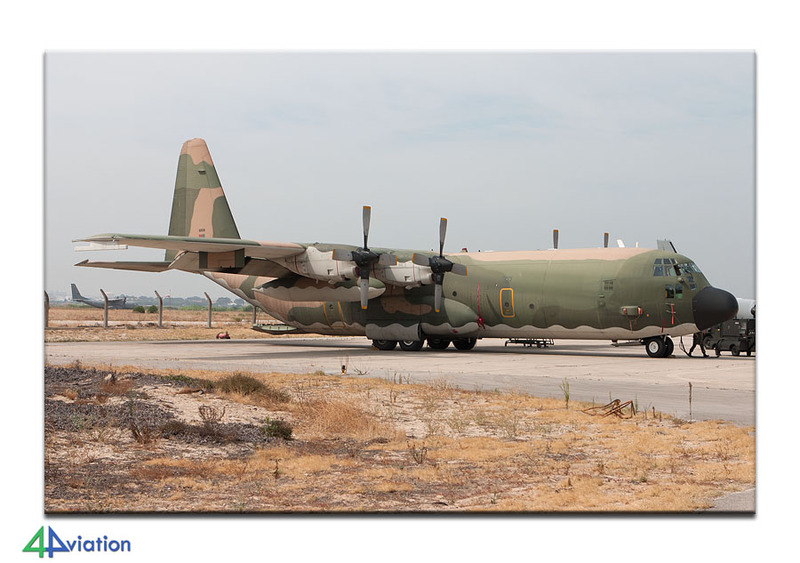 Everything was possible and we got to see all aircraft on base and take the pictures we wanted. After saying goodbye to our female guide at Montijo, we drove to Sintra to meet a female guide with exactly the same name. This had caused a bit of confusion in preparation of the trip, but it all worked out fine. We entered the base on foot and walked around to see all the aircraft in the couple of hours that followed. 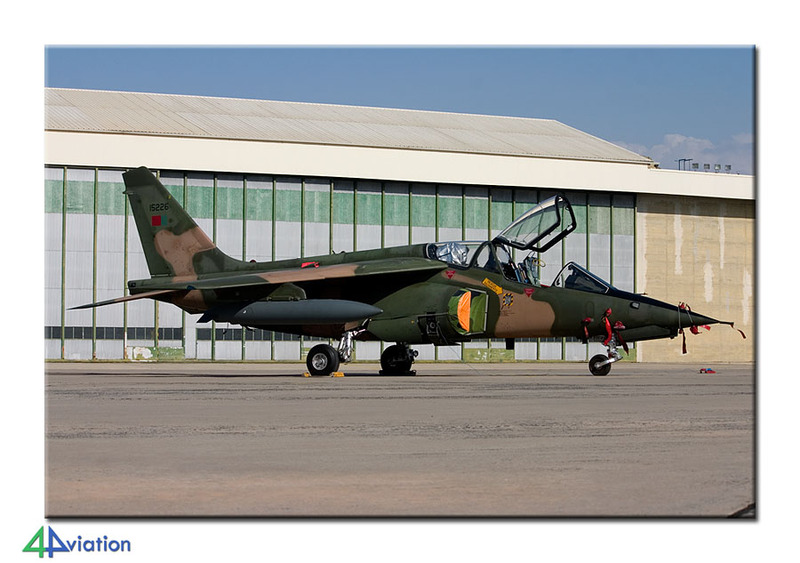 First the Chipmunk and adjoining museum maintenance hangar, then the operational Epsilon ramp followed by their hangar. 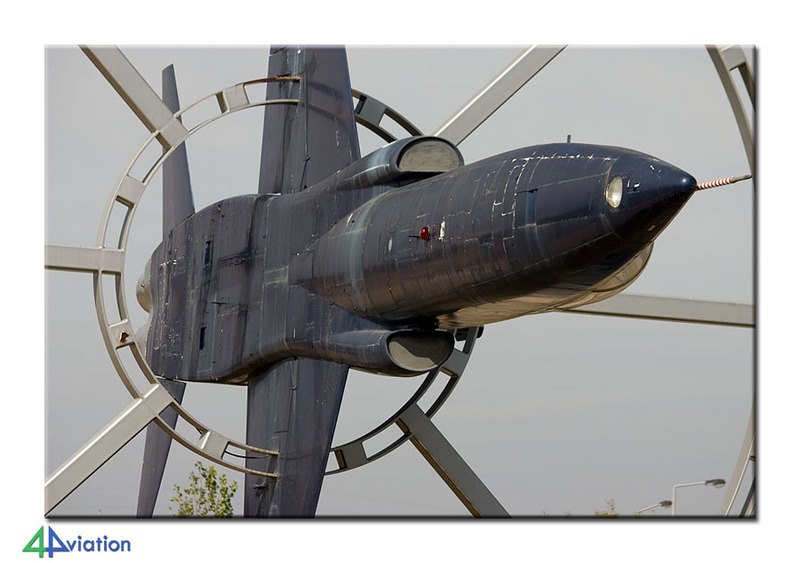 The trip was concluded by walking along the preserved aircraft located on several spots at the base. Again there was not much to be left desired. After a fantastic meal in Montijo the night before (fish, loads of fish), we started at Alverca on Wednesday (1 September). 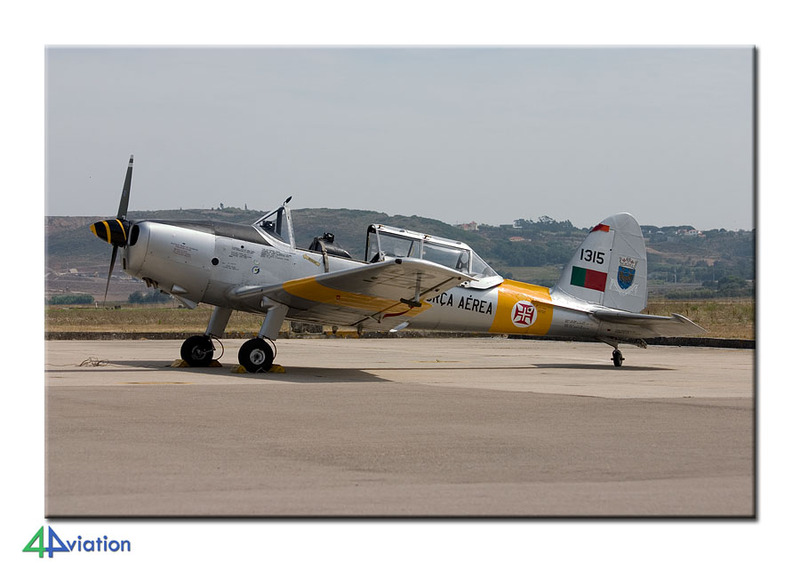 Unfortunately we had nod been able to get us into OGMA or the museum storage of Alverca. But we did get into the old museum. This part of the museum is only open on Mondays normally, but the same guide that showed us around at Ota, was awaiting our arrival here. After this morning visit we headed South for our last base visit of the trip. 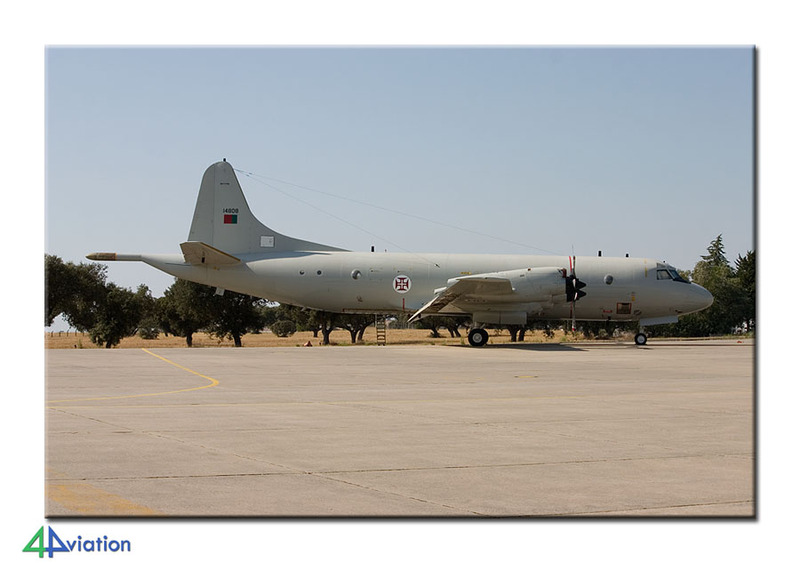 We drove to Beja via Evora to pick up a former Spanish Air Force Convair. Beja is another huge base which is being used by several units with diverse tasks. 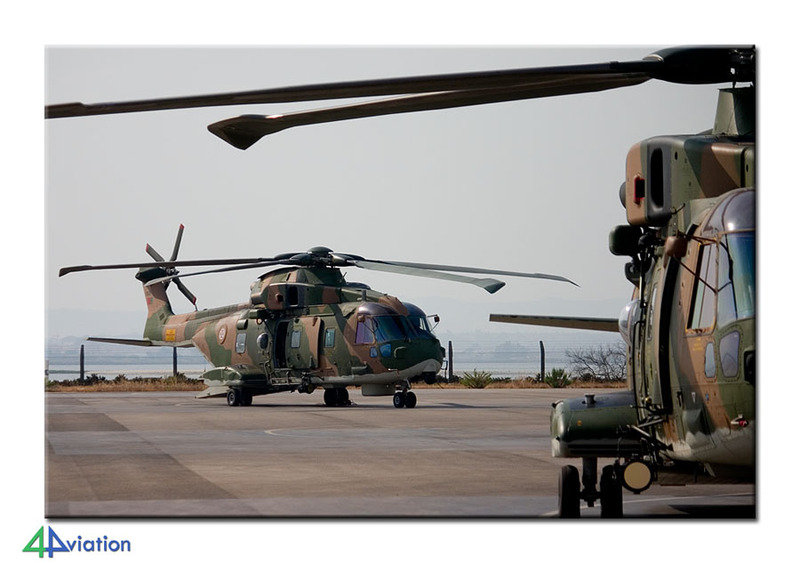 Our guides first took us to the fire brigade before starting off at the Esq552 Alouette 3 helicopter squadron. After that it was time to go to the Esq103 for a short briefing, checking out the simulator, t-shirt time and some refreshments. All week it had been well over 30°C. We then wandered through the hangars and over the ramps of Esq103 and Esq601. As the training unit had flown their six missions in the morning there was no more activity and all Alpha Jets were parked in the hangar. But it was no problem to get one outside and take the pictures we wanted. 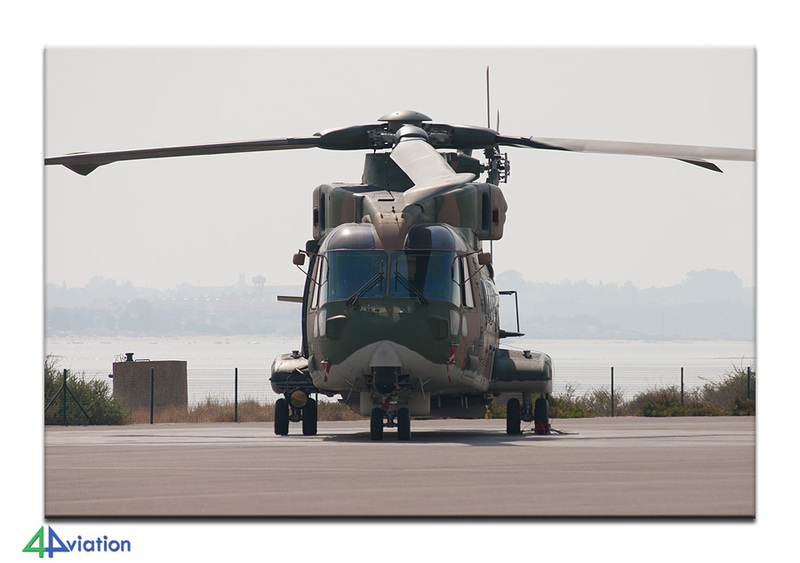 After concluding this visit we drove back to Montijo, knowing that, due to the hospitality of the Portuguese Air Force, we had seen and photographed more than we had hoped for. After another enjoyable group diner on Wednesday it was time to depart back home on Thursday 2 September. Not before visiting another couple of wrecks & relics in the capital city of Portugal though. Our final stop was the maritime museum. Some chose to visit the museum, while others took to the opportunity to picture the environment. After saying goodbye to those that had arranged their own transportation we flew back to Amsterdam-Schiphol in the afternoon. Van deze kant nogmaals dank voor de wederom perfecte organisatie van jullie kant, compliment!